Yes a snake can live in the sewer and climb into your loo! 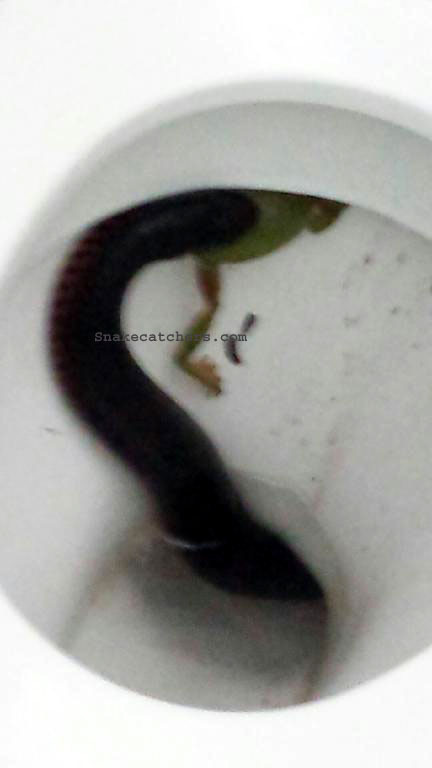 When a Red Bellied Black Snake climbs up into your toilet! This is the moment someone in a Brisbane suburb went to use a toilet and instead found a snake. Unlike the many pythons and tree snakes found in toilets this one is actually a highly venomous Red-bellied Black Snake. In the customers words "I was getting ready to take a seat when I lifted the lid to find this! It nearly scared the s..t out of me!" 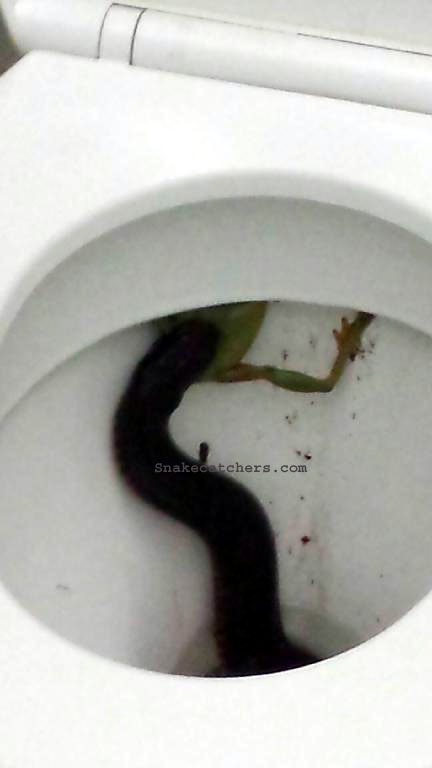 The customer then lowered the toilet seat and called his local snake catcher. He kept a close eye on the toilet until the catcher arrived a short while later. The scary news is that after the snake consumed the frog it headed back into the Brisbane sewer network! As unbelieveable as this all may sound it is actually 100% real and occured in a Brisbane suburb today! Sorry to anyone who now has a bit of stage fright when using the loo. Rest assured it's not that common to have a venomous snake in the bathroom. Scroll down for a closer photo of the snake showing some red.